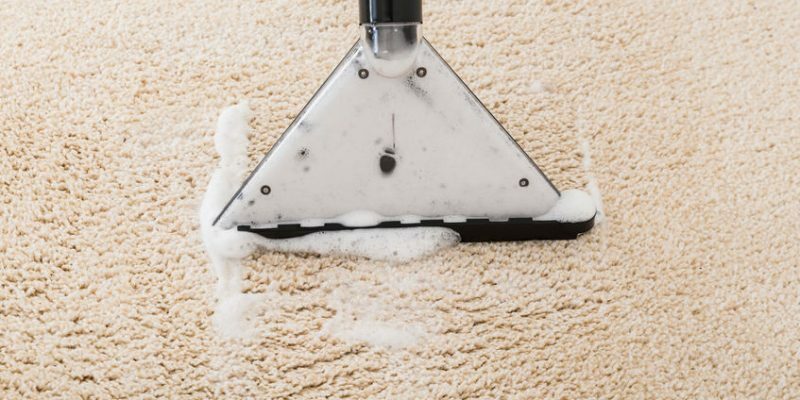 It might sometimes seem like a great idea to just buy a can of carpet cleaner off the shelf at the grocery and clean your carpet yourself – but it’s not. There is simply no way that spray out of a can will come near to achieving the results that steam cleaning by Smart Choice Carpet can. Dirt ground in right to the carpet backing. Fleas and their larvae and eggs. Stains from spilled food and beverages. Surface cleaning from canned carpet cleaners will do just that – clean the surface; you need real steam cleaning to remove all the grime and other offensive materials from your carpeting. The secret why steam cleaning works so well is simple; it relies on pressurized hot steam to do the trick. Our equipment is designed to deliver steam that is nearly 200 degrees F right down to the backing of your carpet. There is no way that dirt, bacteria, dust mites, or stains can resist this. In some cases, where particularly stubborn problems exist, pre-treatment may be necessary. It will seem almost like a miracle as our steam cleaner passes over your dirty carpet, leaving clean, fresh, sanitized carpeting behind. Another benefit to steam cleaning is that fewer chemicals are required, making this process safer for children and pets and less likely to cause allergic reactions in sensitive family members.